Kenny Morgans. This is a really nice elongated black and white action picture Kenny Morgans the former Manchester United footballer. The picture is taken from a Charles Buchan Football Monthly magazine of the time and is hand signed by Morgans in blue ink across his shorts, making the signature very clear. 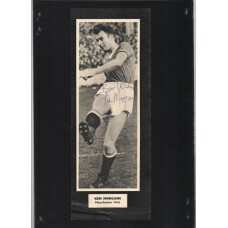 Kenny Morgans suffered minor injuries in the Munich air crash in 1958, when still only 18 years old. He was the youngest player involved in the crash. Morgans was found unconscious amongst the debris by two journalists five hours after the official search was called off. Although he made a full recovery following the crash and was back in the side before the end of the season, he never regained his form on the pitch, and left the club in 1961, having made 23 first-team appearances without scoring a goal. He later played in the lower divisions for Swansea Town and Newport County before retiring from football in 1967. 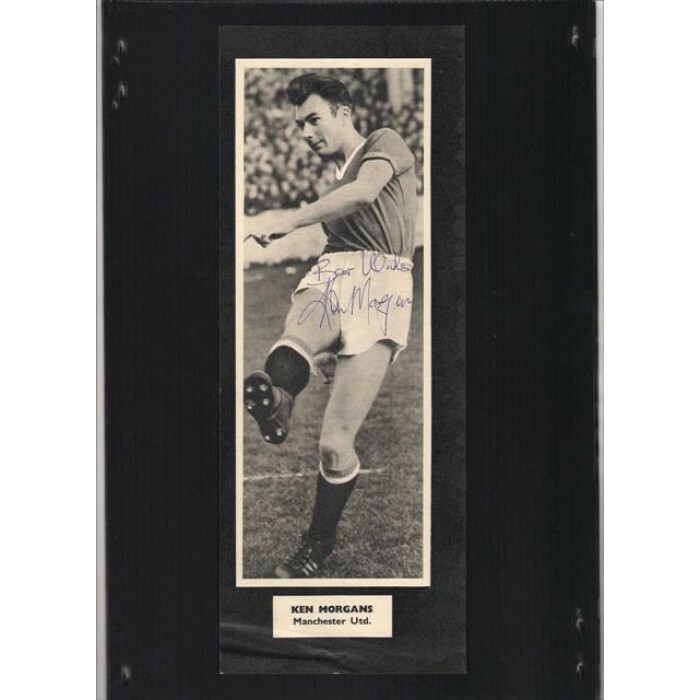 Kenny Morgans sadly died on the 18th November 2012, aged 73.